SuperSprox Steel Rear Sprockets offer riders an excellent balance between weight and performance. CAD designed and laser cut, SuperSprox rear sprockets feature a lightened core that reduces rotating mass by as much as 20% and extra thick teeth that put additional material where you need it. The final piece of the puzzle is SuperSprox Tri-Zinc coating that uses three unique finishing strategies to ensure longevity, performance and good looks for seasons to come. 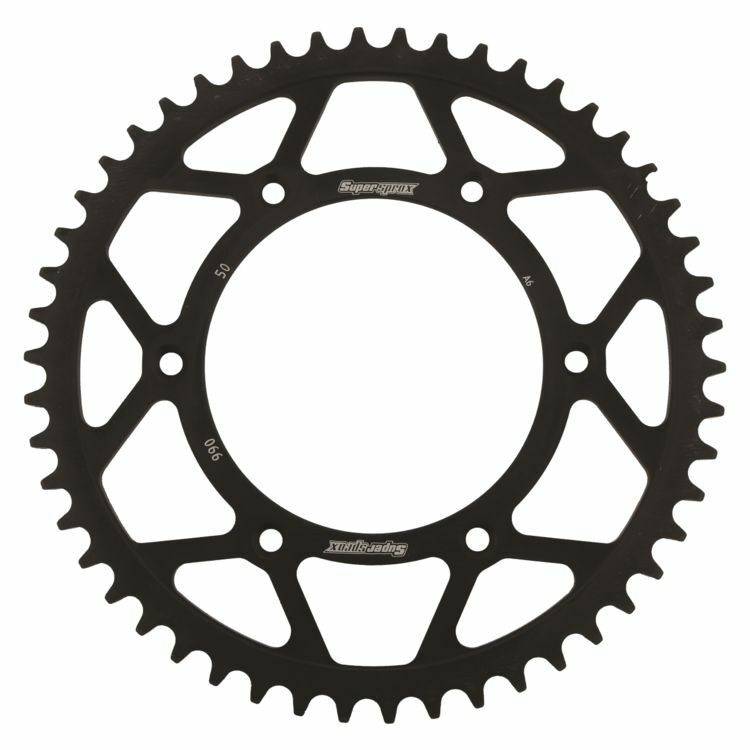 Note: Images are for reference only, actual sprocket may vary depending on make and model.